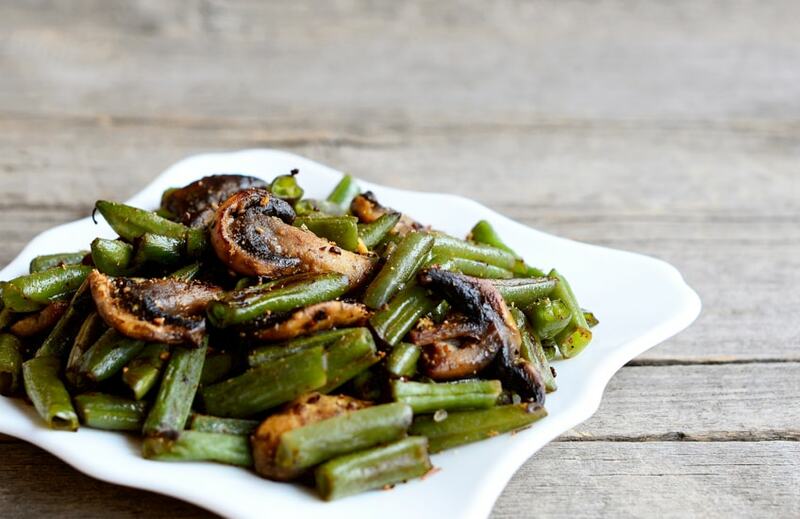 Place washed and sliced mushrooms and green beans in a medium bowl. Combine oil, garlic, salt and pepper in a small bowl. Once mixed, pour over mushrooms and green beans. Stir until evenly coated. Place on a baking sheet and bake 20-25 minutes. Want more healthy Thanksgiving side dishes? Here’s what we’re cooking up this Turkey Day.